NFMT 2019 offers free registration for all facility professionals. Meet and connect with other professionals who can help you solve problems all year long. Learning is as important as doing for building owners and facility managers. Many do that monthly through the pages of Building Operating Management, learning from peers and experts about workplace trends, technology advances, budget planning, and better ways to communicate up and down the organizational chart. But Spring brings the opportunity to take a deep dive into professional development and connect with peers and experts who can help you do your job all year long. 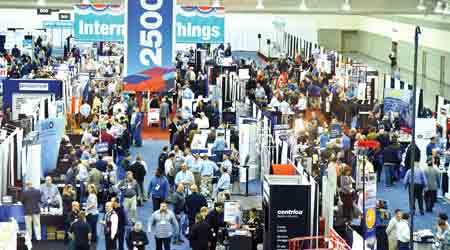 March 26-28 is when NFMT (National Facilities Management & Technology), the largest annual facility management conference and exposition, comes back to the Baltimore Convention Center. Attendees at past NFMT events know that the conference brings together a unique mix of experienced people sharing valuable content for all levels of facility professionals. The show offers free registration for all facility professionals. NFMT is sponsored by Building Operating Management. The magazine’s editors are part of the brain trust that identifies critical topics and top speakers for the event. At NFMT, you’ll find editors hosting sessions and moderating panel discussions. The conference is also a learning opportunity for the editors, a chance to keep up with what’s new, talk to attendees to hear about pressing issues, and get feedback about the magazine itself. Here’s what to expect from this year’s conference. Attendees can choose among more than 100 educational sessions sortable by professional level (beginner, intermediate, advanced), facility type (e.g., education, government, commercial), or topical area such as budget management, codes and standards, or staffing and services. For example: An architect and an expert in virtual design and construction will report on how drone mapping and laser scanning are transforming facilities management. A high-level facility manager at The Smithsonian Institution will describe ways to create a relationship with top management to align department and organizational goals and support funding of facility projects. An experimental facilities engineer for NASA will speak on how understanding health in buildings can influence action as he explains ways that federal agencies are involved in a sustainable-building effort that aims to produce science-based decisions on the benefits of smaller and better work spaces. Facility managers from the City of Baltimore will describe how their municipal mobile maintenance program, a data-driven initiative related to budget KPIs, helped protect public dollars, reduce work order durations, and increase technician morale. Education continues in the expo hall. The show floor brings together experts from more than 400 leading companies across the spectrum of buildings products and systems. Exhibitors range from Jensen Hughes to Schneider Electric, ABB to Benjamin Moore, Cummins to ASSA ABLOY. In addition, there will be educational opportunities on the show floor. With attendees from a cross section of building types and geographies, NFMT Baltimore 2019 is the place to engage in some professional networking that can pay dividends all year long. Trade contact information with speakers, Expo Hall booth representatives, and your tablemates at breakfast and lunch for advice and encouragement later. Meet editors from Building Operating Management. Attend scheduled meet-and-mingle parties and other networking events to connect and find common interests. And don’t miss the networking party on Tuesday afternoon to connect with other NFMT attendees and exhibitors over appetizers and drinks. As you swap professional stories, you’ll be helping others even as they help you find solutions to your most pressing problems. NFMT Baltimore 2019 is the place to improve and enhance your facilities team. Whether you want to know best practices for hiring and firing employees or how to develop an effective scope of work for service contracts, there’s a session for that. 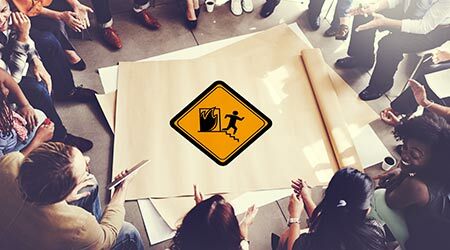 You can learn how to optimize employee talents, assemble the perfect team of internal staff, and better communicate with subordinates. You can also task specific team members with gathering needed information for peers back home. With free registration and as many as 13 concurrent sessions during some time slots over the course of the three days, NFMT Baltimore 2019 is a great educational value. If you do bring one or more team members with you, divide and conquer when it comes to attending sessions and sharing knowledge. Many attendees use lunch and dinner times to discuss what they learned that day and plan how they will share information with their peers back home. Another option is to extend your experience. For $125, NFMT Membership provides year-long online access to video presentations of dozens of past NFMT sessions. NFMT Baltimore 2019 includes a range of bonus learning opportunities. For an extra fee, attendees can choose one or two Monday Training Camp workshops. This year’s in-depth topics are Career Advancement and the ProFM Credential. Also, your NFMT conference registration includes free access to the Clean Buildings Expo, an all-new trade show for the commercial cleaning industry. This co-located conference and exposition, presented March 26-27, is geared toward in-house cleaning managers, executive housekeepers, and principals in building service contractor (BSC) firms who work in commercial, government, and educational facilities. Renee R. Bassett (renee.bassett@gmail.com) is a marketing consultant and writer with Sige Communications, a business-to-business communications firm specializing in content creation and project management. She was previously vice president of content development for Trade Press Media Group, the publisher of Building Operating Management.